Update: This 4K monitor is capable of reaching an incredible 75Hz refresh rate at 4K resolution with the G-SYNC mode enabled. The release date is November 2015. When NVIDIA showcased seven new G-SYNC monitors back at Computex 2015, three of them were 4K monitors. One of the more prominent ones was the Acer XB271HK. 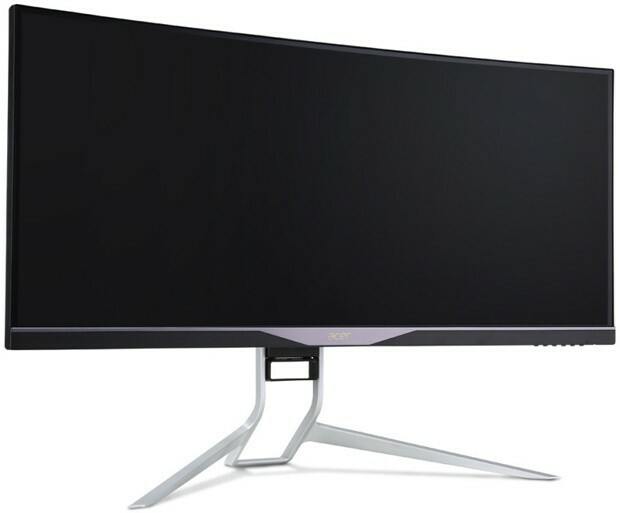 Unfortunately, not much has been revealed about any of these 4K monitors, so this will only be a short introductory for now and be updated in the future when more information about this monitor is released. 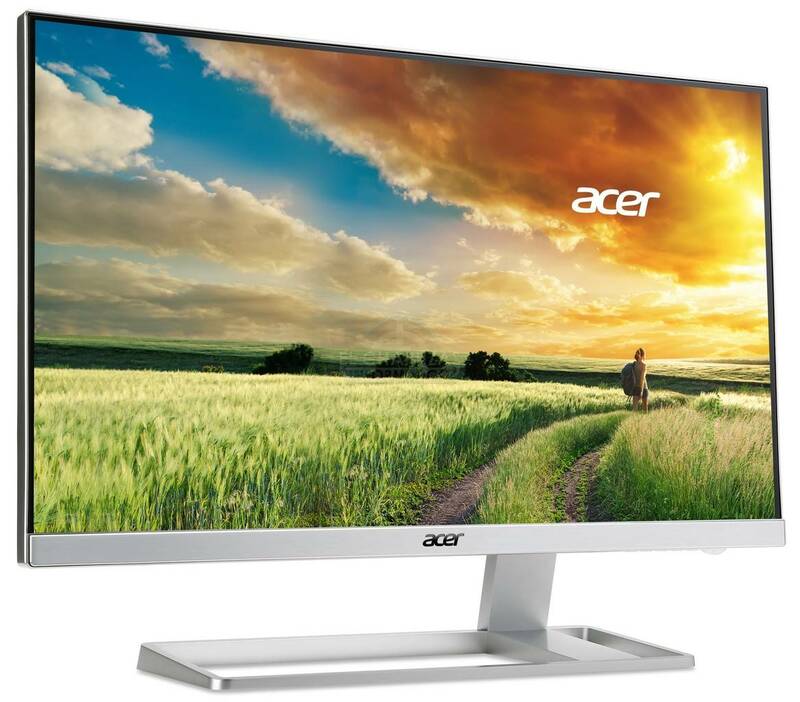 Spec-wise, this 34-inch monitor from Acer uses the same panel as one of the other 4K G-SYNC monitors showcased at the event, the ASUS PG27AQ. It will be exciting to see, what both monitor manufacturers have to offer. Both options seem to be very solid 4K G-SYNC gaming monitor picks, but no price details nor release date have been released by either company. The NVIDIA G-SYNC feature will synchronize your monitor’s refresh rate to the frame rate your GPU produces and thus effectively eliminate screen tearing artifacts resulting in a butter-smooth gameplay. It doesn’t produce the awful input lag associated with V-SYNC either. 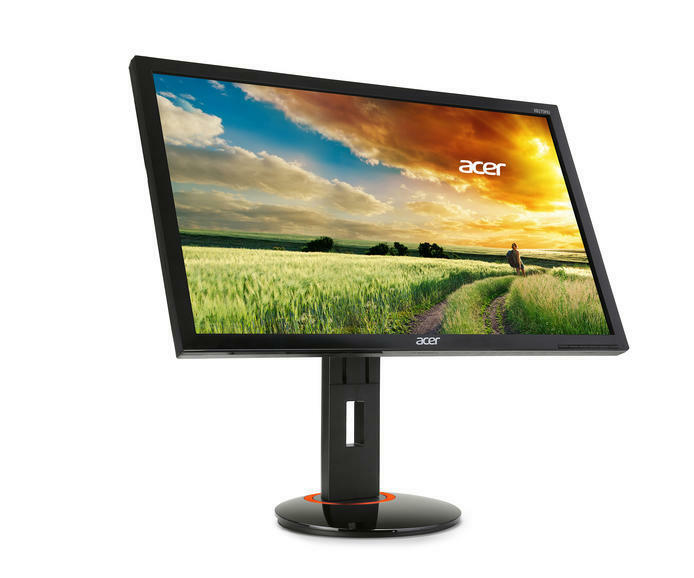 The Acer XB271HK has an IPS panel to offer, allowing it to burst out great colors and viewing angles. IPS panels also have very deep blacks and are much superior to TN panels. Before, input lag was a major concern to many gamers, but that issue is now long gone since you can get 4ms response time IPS monitors now, such as the Acer XB270HU. 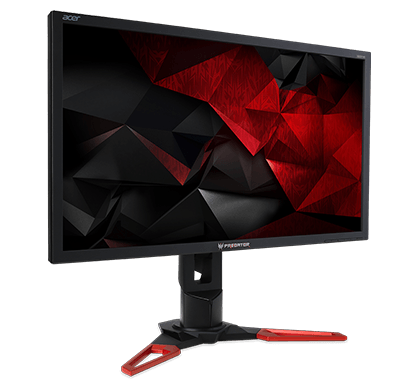 The monitor also runs at a standard 60Hz, just like almost all other 4K monitors, However, with the NVIDIA G-SYNC technology enabled, you are able to reach 75Hz @ 4K resolution. The minimum G-SYNC refresh rate is 24Hz and thus the G-SYNC range of this particular monitor becomes 24Hz-75Hz. What’s probably most amazing about this monitor is the 4K resolution. With 3840×2160 pixels, you have four times as many pixels as a Full HD resolution, giving you a crisp, clear and sharp image quality that is here to stay. We’re not going to see anything over 4K anytime soon for monitors, but we might see a 4K monitor with 144Hz refresh rate with the DisplayPort 1.3 standard. That’ll be very cool and we are excited to see what the future brings us. Monitors have finally started moving forward again after years of still-stand. The release date of this monitor is November 2015, but the price for this exact monitor is unknown, although it is higher than $799. We will update this post as soon as we get hold of more useful information. You can see the most important specs below, which are all confirmed. The “Buy” link below will most likely do a keyword search of the specific product so you can see for yourself if it is available for pre-order or ordering right away.